Michael Vienna, Emory's new director of athletics, has served as athletic director at Salisbury University, a member of the Capital Athletic Conference, since 1993. Michael Vienna will serve as Emory's Clyde Partin Sr. Director of Athletics beginning Aug. 3. Vienna comes to Emory from Salisbury University in Salisbury, Maryland, where he has worked since 1989. Salisbury is a member of the Capital Athletic Conference. Vienna was appointed Salisbury's director of athletics in May 1993 after previously serving as the university's associate director of athletics. In 2003, he added duties as the director of the campus recreation program. As athletics director, Vienna was responsible for the administration of a successful 21-sport intercollegiate program with approximately 525 students participating in those varsity sports. "Mike is uniquely qualified to build on the incredible success of Emory Athletics," says Ajay Nair, Emory senior vice president and dean of campus life. "I have no doubt that he will firmly establish the Emory Eagles as the premiere athletic program in the NCAA. I look forward to working with Mike and all of our colleagues in Emory Athletics to co-create a vision that will move us from excellence to eminence." During Vienna's stint at Salisbury, Sea Gull teams have garnered 17 team and 12 individual national championships, 13 national second-place finishes and 169 conference championships. In addition, the athletics program has seen both capital improvements and the addition of four varsity sports. "I extend my sincere thanks to Dr. Ajay Nair, the search committee, athletics staff and to all of the individuals with whom I had the pleasure of meeting for giving me this wonderful opportunity," Vienna says. "Emory University has established a remarkable combination of excellence in both academics and athletics, and I am excited to uphold that reputation and work with the talented staff and students as we reach for greater heights," he says. "During my visit to Emory, I was energized by the staff and student-athletes and incredibly impressed with Dr. Nair's vision for intercollegiate athletics and the impressive mission and values laid out by President Wagner." While in his current position, Vienna has also held a variety of key assignments at Salisbury, including adjunct faculty member, interim vice president of student affairs and acting university judicial administrator. A member of the National Association of Collegiate Directors of Athletics since 1985, Vienna has been a member of the National Association of Division III Athletic Administrators since 1995 and served on its national executive board (2007-09). 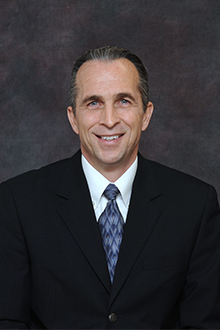 He served as president and vice president of the Capital Athletic Conference from 1997 until 2001 and was the conference treasurer from 2004 until 2013. In addition to working at Salisbury University, he has experience as a head basketball and golf coach and athletic director at the two-year college level, assistant soccer coach at both the Division I and III levels, and as a physical education instructor. He also worked in the front office of the Cleveland Force of the Professional Indoor Soccer League. Vienna attended Mount Union College where he earned a BA in health and physical education. He then obtained his master's degree in sports management and PhD in higher educational administration from Kent State University. He will replace Tim Downes, who has served as Emory's athletic director since 2007. Downes resigned effective June 30 to become athletic director at the Westminster Schools in Atlanta.